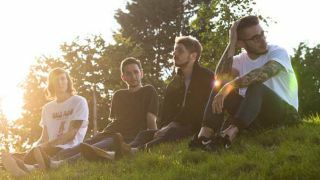 English emo outfit Moose Blood have announced details of their first UK headlining tour. The band, frontman/guitarist Eddy Brewerton, bassist Kyle Todd, guitarist Mark Osbourne and drummer Glenn Harvey, released their debut album I’ll Keep You In Mind, From Time To Time in October via No Sleep Records. And they say they put everything they had into making the album and it touches on personal subjects close to their hearts. They’ll be supported on all 16 dates by Choir Vandals and Boston Manor. Their 11-track debut is available to purchase direct from No Sleep Records on either CD or digital download.